Hurricane Newton Making Landfall Near Cabo San Lucas Early This Morning. Flash Flood Threat Remains For Parts Of NM/W TX. 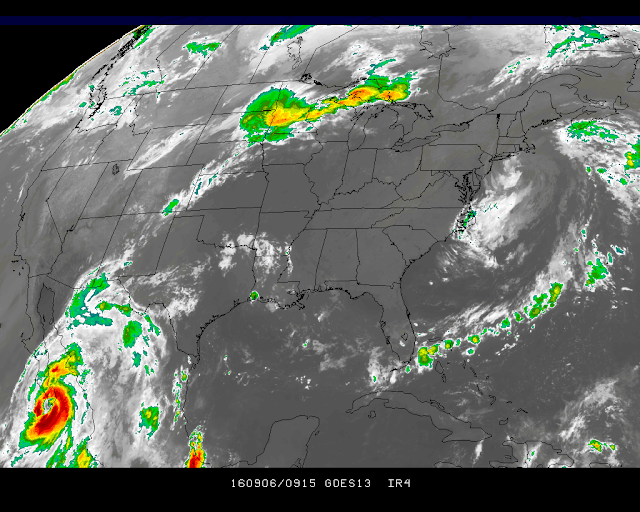 IR Satellite Image Of Hurricane Newton @ 4:00 AM MDT This Morning. IR Satellite Image Of Hurricane Newton @ 4:15 AM MDT This Morning. 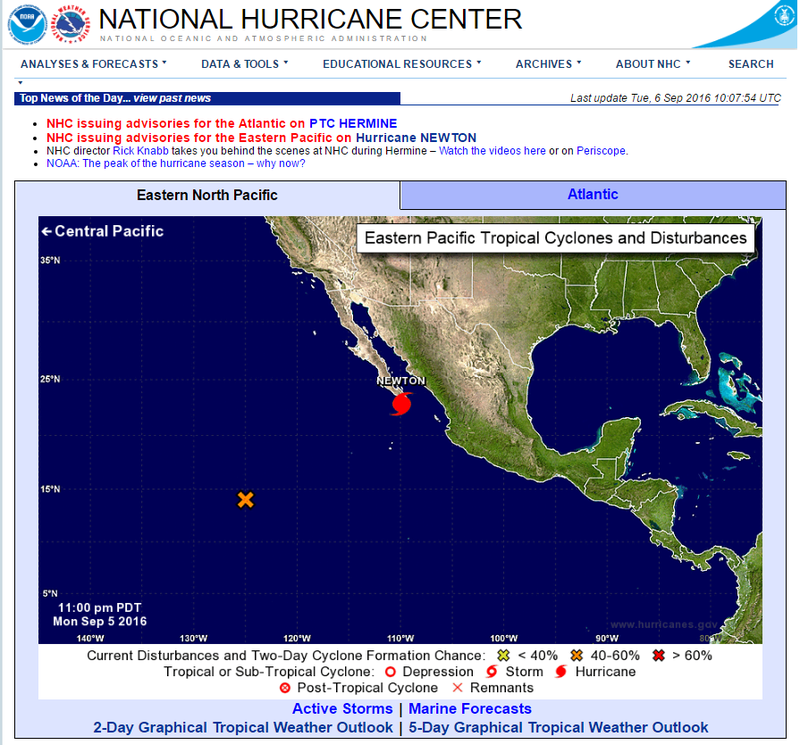 Position And Forecast Track Of Hurricane Newton As Of 3 AM MDT This Morning. Computer Model Forecast Tracks Of Hurricane Newton. Click On This Link For The Latest NWS Forecasts, Watches, Warnings, And Special Statements. FLASH FLOOD WATCHES REMAIN IN EFFECT. 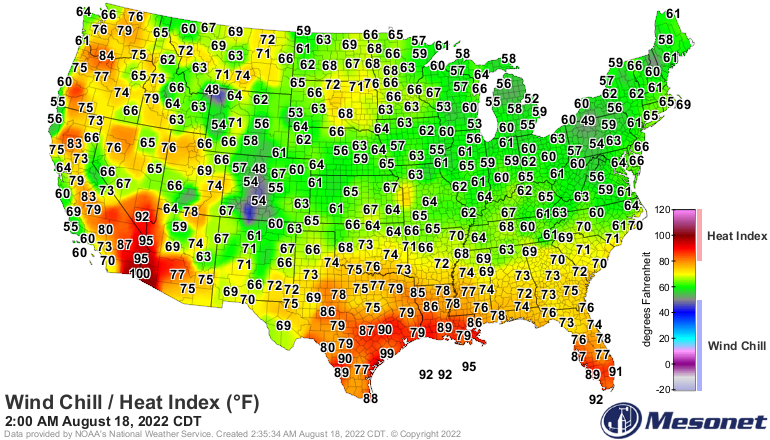 (For NE, E, SE NM & W TX As Well As Parts Of S NM). 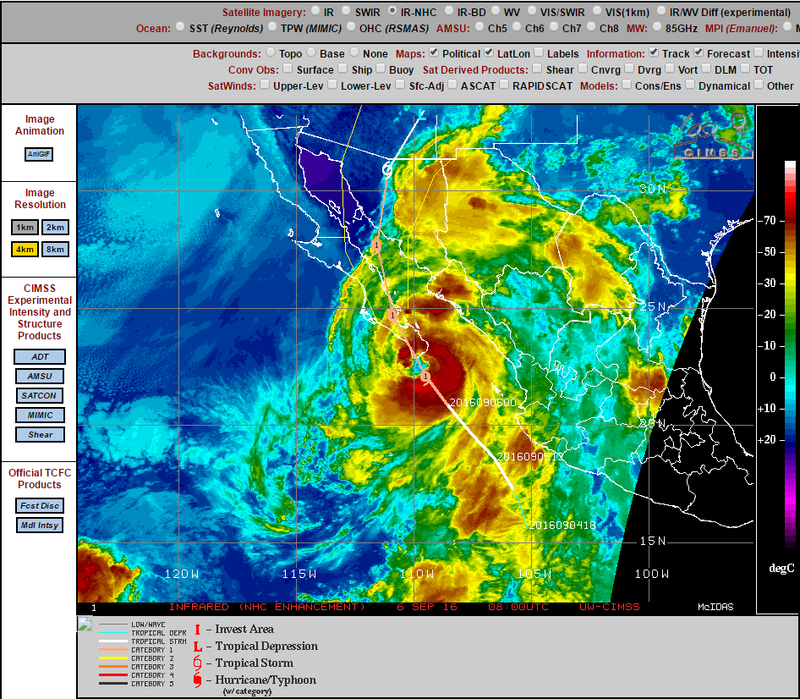 Hurricane Newton was making landfall near Cabo San Lucas along the southern tip of Baja California at 3 AM MDT this morning. New has a large eye that is 45 NM in diameter. His central pressure is down to 979 millibars or 28,91 inches of mercury. Newton has sustained winds of 90 mph with gusts near 115 mph. He has turned a little to the right with his forward movement overnight and is moving to the north-northwest at 17 mph. 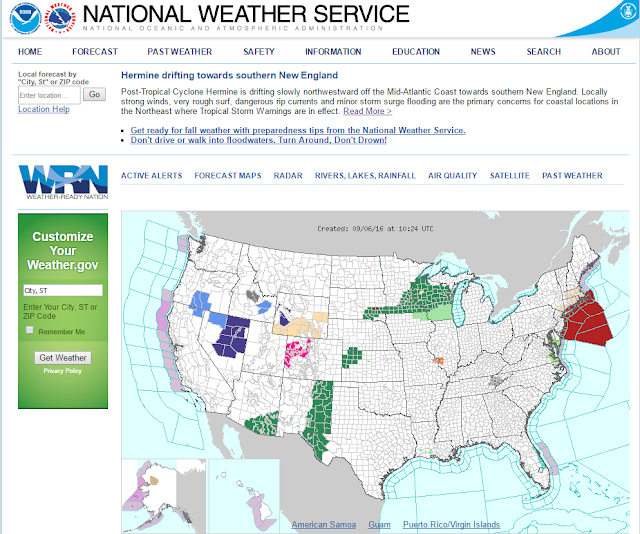 A gradual turn to the north and then northeast is forecast over the next couple of days. 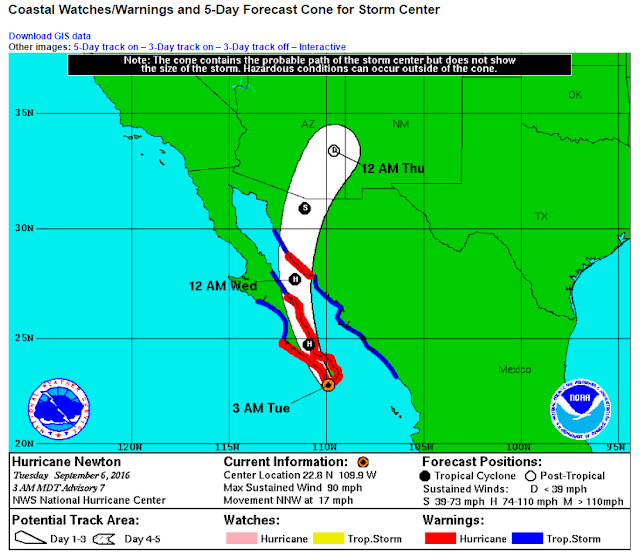 Newton is forecast to remain as a Tropical Storm as he nears the Arizona and Mexico border by Wednesday evening. Not much has changed in the overall thinking concerning Newtons remnant moisture and its impacts upon the local area. 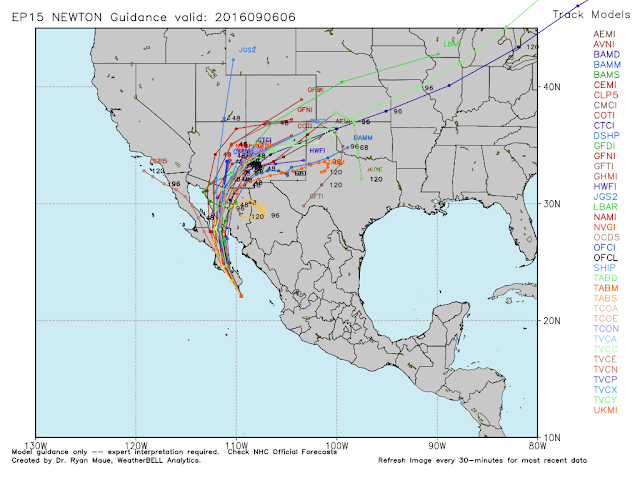 The models continue their slight shift to the east of the original forecast track of the Hurricane and this only enhances our chances locally for additional heavy rainfall from the storm. Thunderstorms and heavy rains along with the potential for widespread flash flash flooding will be our main concern this afternoon into Wednesday. Widespread rainfall totals by Wednesday morning of between 1" to 3" appear likely with some locations picking up greater amounts.